A Lucky Man will be introduced to syllabi across the country and beyond upon its release, that much is certain. The fact that it is a debut is astonishing. Lincoln Murray sucked in his stomach on the crowded morning subway. He struggled to keep it from touching the young woman in front of him, whose throat was alive with perfume. Now in his mid-fifties, Lincoln withheld himself by habit. Only in the privacy of his home did he allow his stomach to settle into its full hanging bulge. Until recently, his wife, Alexis, would tease him while reaching out in the same moment to soothe his paunch and his pride. Like his wife’s scent, the young woman’s perfume reminded him of bright citrus. A finger drawn lightly across her neck, an accident of that kind, and he’d have some trace of her to keep for a while. The collection’s nine stories are of men who grapple with the furnishings of their lives; the rituals, conventions, traditions and assumptions they’ve imbibed as children that have framed, stifled and destroyed their relationships with friends and family; the narratives these men have created and perform in order to survive—and survival is everything in a country where you are five times more likely to be incarcerated and two and a half times more likely to be shot by police if you’re born black. 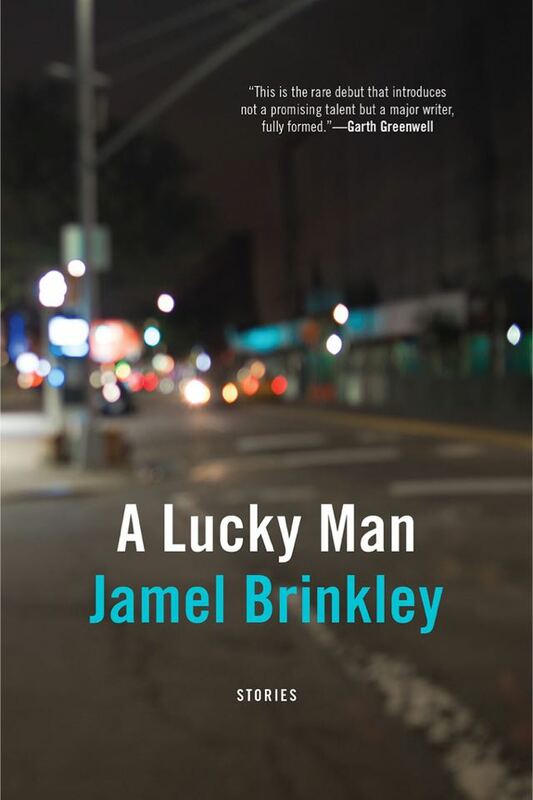 ‘Luck may be the greatest fiction of all’, says the synopsis. Indeed. Brinkley’s interested in the rupture of these narratives, a rupture that’s similar to the Joycean sublime in that there’s a realisation his characters achieve but can’t completely understand, something that transcends language. In his masterful ‘Everything the Mouth Eats’, for instance, two brothers finally come together as they release the violence of their upbringing into the art of capoeira angola. It’s the depth of the stories that really gets to you—the kind of stories Junot Díaz once told me I should aspire to write, since there are a multitude of perfectly-crafted stories out there, harmoniously constructed, aesthetically complete yet hollow, dead before they’ve even settled into your mind. Here are stories that stroke your nerves like a violin bow, that touch at that unbearable disjuncture where self doesn’t meet self, where you can’t do that Forsterian thing, ‘only connect’.